The cost of UPS, FedEX, DHL is 100-200 USD per package to ship overseas, do this a few times and you quickly stop having mail sent to your home overseas. How do you buy something with Amazon.com or Ebay.com and have it sent your overseas home? You want a service, that sends packages from office to office, otherwise all your packages are going to be eaten by the aduanos or government offices, you will pay incredible shipping and import / export fees. EPS say anything under 200 USD and I do not need to pay, I can order with Amazon.com, leave the invoice, and have it sent. 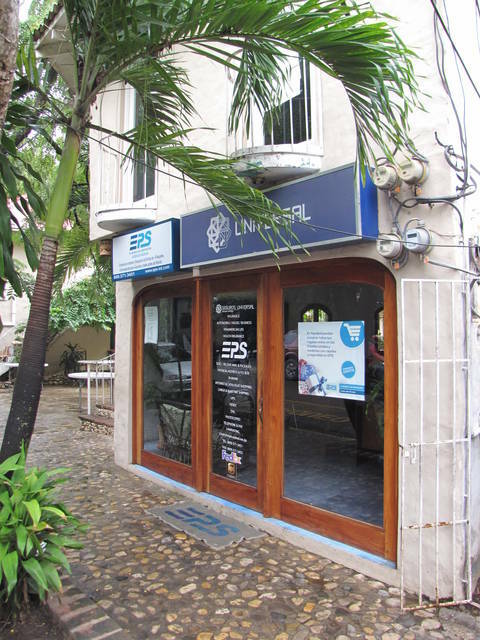 This is a company called EPS in Sosua, I went in yesterday, for free they gave me a PO Box for an address in the USA. I can add the physical address, telephone number to an Amazom.com account. I then pay the shipping to Miami, then an addition 5 USD per pound to get to Sosua. "Application for Delivery of Mail Through Agent." This is the El Rancho, they have boxes on Lago Atitlan, in the city of Panajachel, another superior expat location to live. I think the cost it 300 Quetzals per year, and again you can buy on Amazon.com and have it sent.